Saltstack workshop – Kya aapke Stack mein Salt hai? 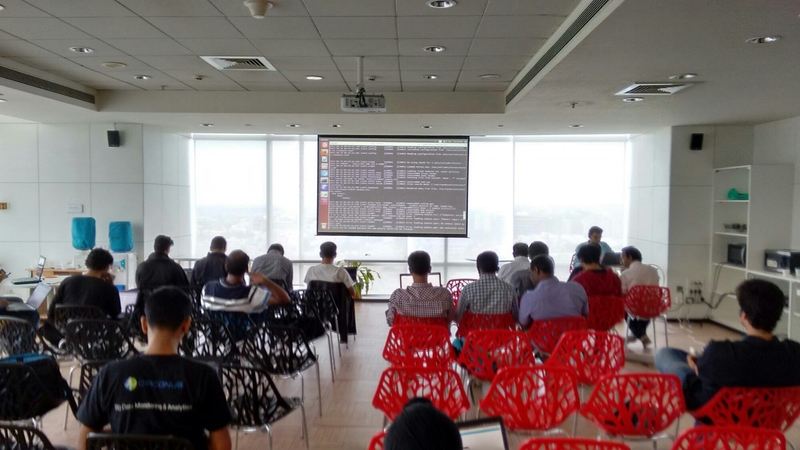 Helped Krace and Saravana organize SaltStack workshop today at Redhat office, Bangalore (IN) [meetup link: Workshop on SaltStack] with a count of around 35-40 participants. The aim was to give a hands-on intro to concepts of salt stack, like minions, master, grains, pillars, state files, salt modules.. However, due to time constraints, some installation problem diagnosis and interesting questions being put up actively by a few, all topics could not be covered. Although my doubts were cleared, thanks to Krace and Saravana for putting effort and time into the presentation! During a tea break, I and Shubhendu talked about how SaltStack is being used within Red Hat and also, a brief introduction to culture and departments within RH BLR office. Also had some nice discussions about comparisons between Puppet, SaltStack and such. As part of PyCon we’re organizing dev sprint. 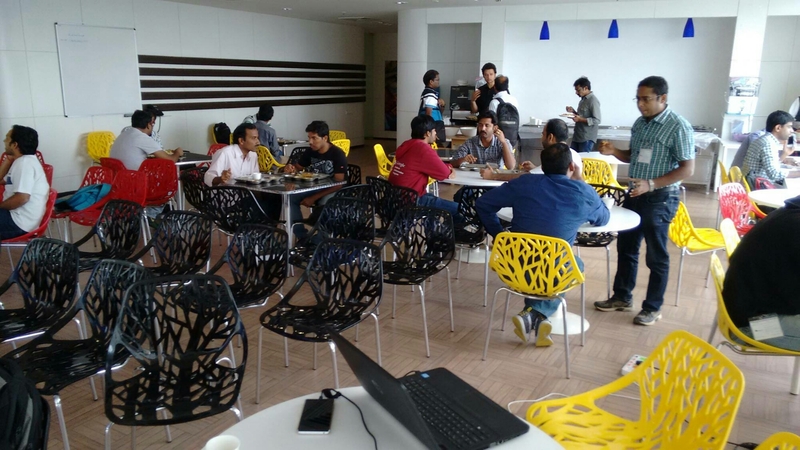 Dev sprint is one day intense coding event focussed on fixing bugs, enhancements, refactor, writing docs, test. You can work any of your personal project or open source projects like Django, Flask, Python. Only criteria is the open source project should be in Python and can use mix of other languages like JS, CSS, HTML. If you or any of your friends/colleagues are interested, please pass on the email. In order to participate, you need to register the project here . Later set of volunteers will get in touch with you for more details. The Sprint will be held on Oct 2nd from 9Am – 7.30 PM on the 1st floor of the conference venue. Once we close the CFP, we will make a list of the accepted projects and the participants will be able to choose from them while they participate in the event. Last date for submission is Sep 4.